If you are looking for a handmade holiday activity for kids or friends, you can find fabulous free ideas on our 25 Days Of Free Christmas Projects Calendar. Or maybe you just love making gifts and home decor...you will find pretty projects on this calendar to suit all. Looking for projects to start on after the first of the year, to ensure you are ready for next holiday? Download the gorgeous patterns from our calendar today. 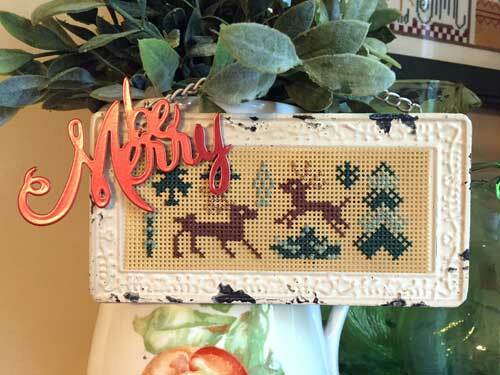 Our annual 25 Days Of Free Christmas projects covers techniques like cross stitch, knitting, crochet, weaving, needlepoint, crafting, and more. Explore projects for all skill levels. 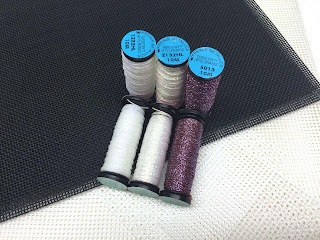 They feature Kreinik silk, metallic, and reflective threads; if you've wondered how or where to use these, the creative projects will show you. And did we mention they are all FREE?! We offer them as a thank-you for your creativity and support. 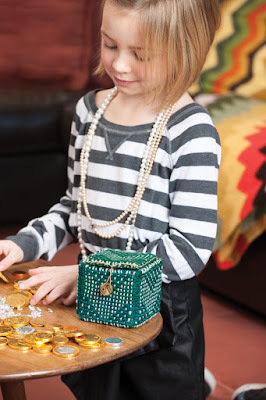 Click here for this year's calendar of free holiday projects. We will be adding projects each week, so bookmark the page and check back often. There seems to be two types of Christmas gift-givers: 1. Those who express their love and friendship by picking out just the right thing to match a person's uniqueness, personality, interests. And 2. Those who hate shopping and just need to find something good for a present. Hugs to both kinds of people, because the search can be a challenge for either. We're here to help with three easy gift ideas that also give back to the community—a win-win for giver, recipient, and others. 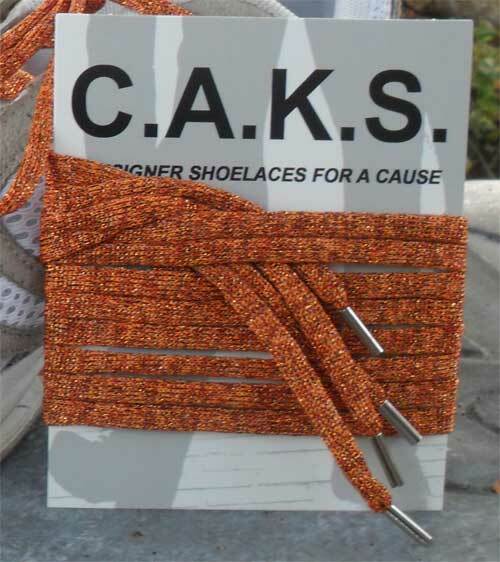 These three gift ideas are unique (colorful and fun), useful (something you can use every day), and help others (back story below…): shoelaces, lanyards, and eyeglass strings, all made with Kreinik's durable, colorful fibers. Yes, the same threads you use in needlework and fly fishing make great accessories. 1. SHOELACES come in metallic or glow-in-the-dark colors, in lengths to fit children and adults, from little shoes to tall boots. Washable, featuring metal aglets at the tips. Click here to see the colors and purchase. 2. 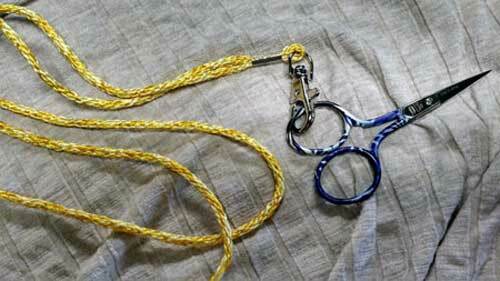 LANYARDS keep keys, badges, even embroidery scissors nearby. We use silk, a durable, strong fiber that produces beautiful color. If you have to wear a badge for work or school, make it gorgeous, classy, or spirited. Click here to see the colors and purchase. 3. EYEGLASS STRINGS made of Kreinik's strong silk threads mean those spectacles won't get lost, plus you'll look good while wearing them around your neck. The silk feels so good against your skin. Click here to see the colors and purchase. 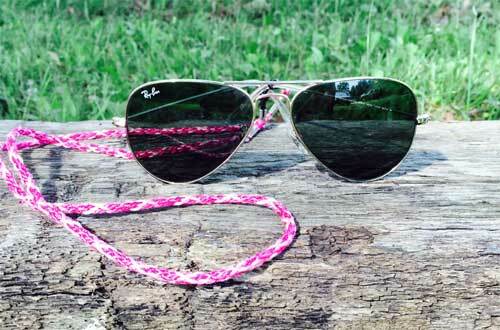 What''s so special about these shoelaces, lanyards, and eyeglass strings? A range of shades means you can match any outfit, team color, or personality. The shoelaces even come in glow-in-the-dark options. Metallic combinations bring a smile to the face without being overly glittery—but you can go that route if you choose; just take a look at all the options on our website www.kreinik.com. Also, a portion of each sale goes to suicide prevention, drug addiction, and grief counseling programs. These items were designed in memory of Charles Kreinik, who took his life after battling depression and addiction. 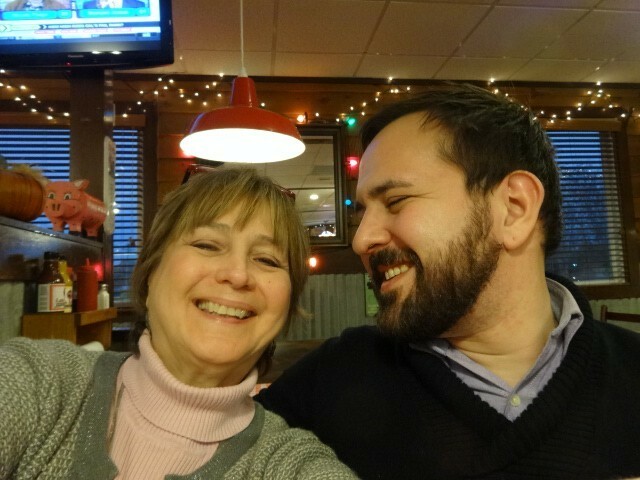 Company owner Doug and his wife Myla wanted to create a product out of Kreinik fibers that would be beautiful, useful, fun, and raise money to help others. You will be honoring someone you know who took their life, or helping others in similar situations, with each purchase. Thank you for sharing something positive and spreading love through these gifts. Be sure to share photos of your friends and family wearing them! This time of year, charities look for ways to raise funds for needy families or community organizations. Creating a Christmas tree, decked out with handmade ornaments, is one way to do that—and get a group involved in crafting fun. Here's how we made the charity "tree" shown in photos here. Each year, the Kreinik staff gathers around one of our big work tables in the silk department to make holiday ornaments. It's not just a holiday party (although cookies from a favorite local bakery are involved), and not just a way to play with Kreinik threads. We make ornaments and decorate a tree that will be auctioned off for charity by the local Easter Seals organization. While it's fun to make the project, it's even more exciting to see how much money is raised through the auction. Everyone wins. This year's ornaments featured a few crafty techniques (look for full instructions on our 25 Days of Free Christmas Projects calendar on the Kreinik website this month). We covered foam balls with double-sided tape, wrapped Kreinik metallic threads around them, then covered the remaining areas with shiny beads. 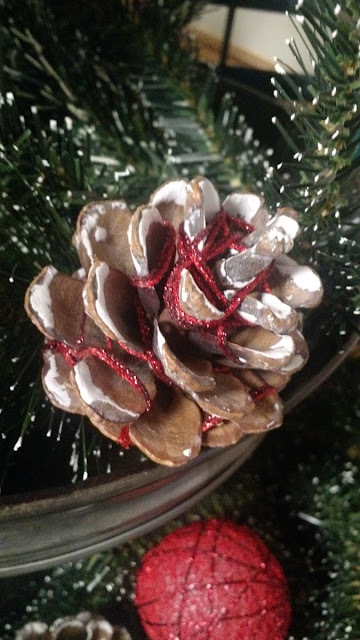 In another project, we wrapped metallic threads around pine cones. 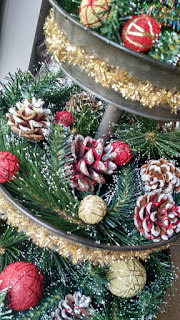 Metallics are such an easy way to dress up any craft item, and add that holiday sparkle. Look for Kreinik 1/8" Ribbon and Heavy #32 Braid, two of our thickest metallics, for the prettiest punch. Our ornaments were set into metal trays, which we decorated with Kreinik Micro Ice Chenille (one of our fly fishing products). The design makes a lovely centerpiece for a table, foyer, or mantle. 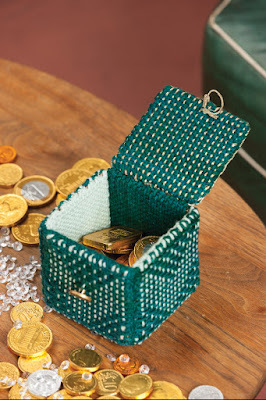 Doug Kreinik claims the concept heralds from the olden days. 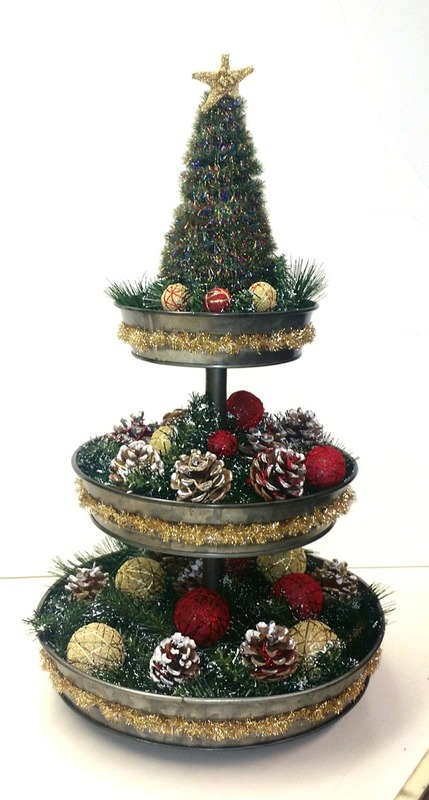 "Yes, the Italian Pan Tree was a popular table decoration used towards the end of the 19th century. I think it came from the Trieste Region of Italy," Doug recalls. "The Pan Tree was frequently created from discarded olive oil pails filled with boughs from the Alps, decorative balls, a tradition of eastern Italy and pine cones, the national fruit of Albania. The Pan Tree's small size enabled them to be placed on tables festooned with small gifts for children." The whole project is a fun way to spend some time crafting, plus make something that benefits the local community. Great idea—take it and run with it to raise money in your own area. We added these shades to fill in some color families within the Kreinik metallic thread line. People are always asking for a color with more of a shade in it, such as the famous pearl color; "I need pearl, but with more copper…" or "Can we get a pearl to go with the green-tinted pearl?" The two new shades seem to be fitting in nicely, based on the fabulous responses we got when we asked Kreinik fans, "Where would you use them?" 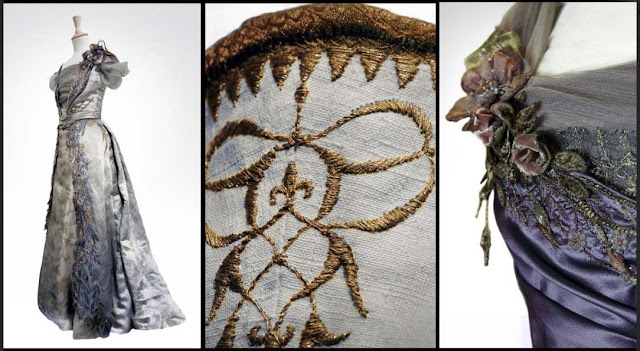 If the action on HBO's "Game of Thrones" gets bloody crazy, focus on the costumes for a minute—can you spot the Kreinik threads? One of the designers, Michele Carragher, uses Kreinik metallics for embroidery on some of the costumes. It's exciting to work with super-talented Michele, and even more exciting to see the same threads you use for your needlepoint/cross-stitch/embroidery featured on an actor or actress. Back in August, we rushed some to the set in Northern Ireland for emergency costume embroidery. Unfortunately, we can't show photos of this season's costumes due to legal reasons, but Michele says they are just as spectacular as in past seasons. The thread (our 3/8" Trim) "was for something special, so will be worth the wait‎," Michele said. 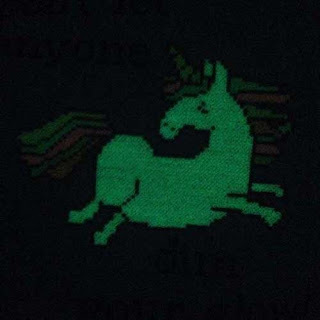 In the meanwhile, to satisfy our craving for embroidery on the big screen, Michele shares this link to a film she worked on and used Kreinik threads. It is called "Queen of the Desert," released in 2015 starring Nicole Kidman. Michele worked on ball gowns and corsages for Nicole's character in the film. Just think: Kreinik threads on Nicole Kidman! Tis the season to be stitching snow...and that just got a little bit more fun with the two new pearl shades. Now you can do shading with white, stitching prismatic color just like Mother Nature. The new pearls are also perfect for frosting, any whimsical pattern, or simply to add a sparkle with subtle color. The 2132HL Copper Pearl Hi Lustre has a hint of orange mixed with the white, and 1232HL Lavender Pearl Hi Lustre has a whisper of purple. Both come in Kreinik Fine #8 Braid and Tapestry #12 Braid sizes. Gorgeous 5013 Plum Berry is a rich purple with fuchsia undertones that adds depth, color, and a regal feeling to projects. This color is like a fine wine, a Renaissance painting, or a delicious fruit: smooth, sensual, an instant classic. Available in Kreinik thread sizes Very Fine #4 Braid, Fine #8 Braid, and Tapestry #12 Braid. Ask your favorite needlework store for 5013, 2132HL, and 1232HL, or visit our website to pick up these new colors. 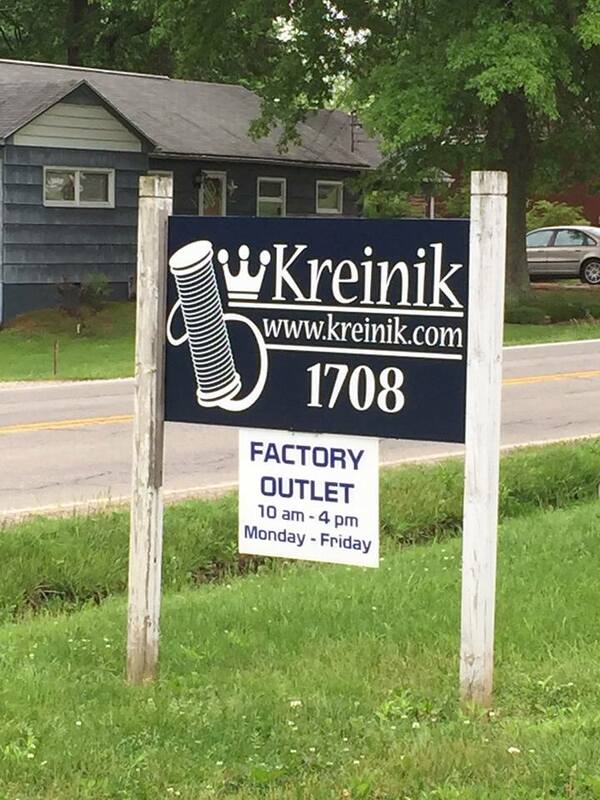 MARK YOUR CALENDARS: The Kreinik Factory Outlet Store will be open September 28-October 1 from 9-3. Stop by and enjoy a fun day collecting fibers. You also have a chance to meet and get your photo taken with Doug Kreinik. Put it in your GPS and make the gorgeous autumn drive over to: 1708 Gihon Road, Parkersburg WV 26101. 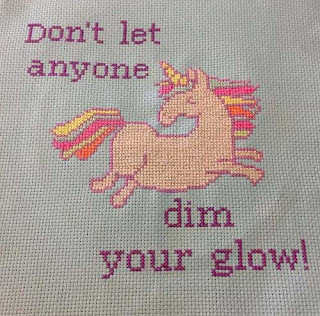 New for cross stitchers: We've partnered with 8 Bit Stitch (Kari Warning) to kit her fabulous Glowing Unicorn cross stitch design. 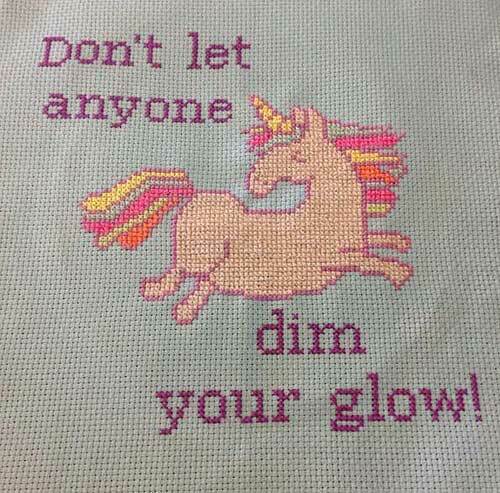 "Don't let anyone dim your glow" is the inspirational-and-fun message on the easy-to-stitch pattern, featuring glow-in-the-dark Kreinik threads. Stitched on 14-count Aida, it is a perfect project for stitchers of all skill levels. Special Note: The kit includes a discontinued color, so this is LIMITED EDITION. We have only 70 kits available; be sure to get yours while supplies last. Get here to get the thread kit. You will also need an 8-inch X 8-inch piece of DMC Bright Ideas Aida Cloth (Polar Ice 14 count), available from other sources. (Try your local craft store, needlework store, or DMC website). Alligators, Turtles and Porpoise. Myla and I adventured down the East Coast of the US through Florida for our summer vacation this year. Our goal was the southern most point of the United States. We have now have traveled to the Southwestern, Northwestern and Northeastern most points in the Continental US. 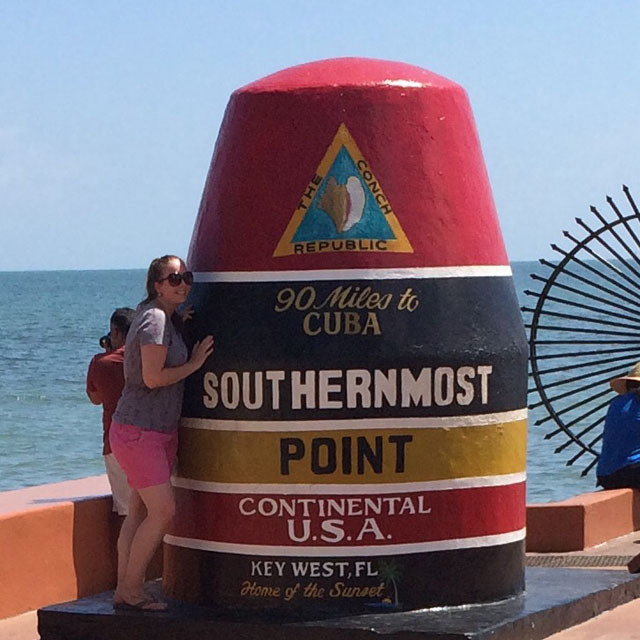 This trip was filled with seeing wild animals in their habit along the loop road through the Everglades (10 alligators), a sea turtle hospital in Marathon, FL (40 injured sea turtles), and the home of the 20 six-toed cats at the Ernest Hemmingway House in Key West. We also visited with the owner of Kermits, maker of what we felt was the best Key Lime Pie, took pictures of the actual buoy marking the southern most point in the US, and spied the "0" mileage sign for US Route 1 found in Key West. After traveling the1224 miles to Key West, we worked our way up the coast, island hoping through Florida, Georgia, South and North Carolina, visiting needlework shops and eating the fare of the land. I’ll just name a few: Low Country food in Tybee Island, Key Lime Pie, Poor Boy Oyster and shrimp from Daytona to Wilmington, fried green tomatoes in NC and Cuban Sandwiches throughout southern Florida. Found the best Thai restaurant ever in Wilmington, called Indochine. They had the most interesting salads, entrees and dumplings along with our favorite sticky rice with mangos. We saw sunsets, sunrises, a water spout form, and beautiful lightning hitting the ocean. Visited friends and met many wonderful people along our 3000-mile trek. I got to spend time at various needlework and knitting shops along the way talking about needlepoint classes, weaving, knitting and shoelaces. We were able to take some videos of the shop's owners and in one case the store mascot in Wilmington, a cute little dog. 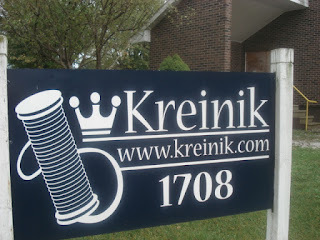 You can see the videos on the Kreinik Facebook site, www.Facebook.com/Kreinik.Manufacturing.Company. Here is a list of shops I visited on my trip. All give classes, all are located in incredibly picturesque areas and all are different with needlepoint, cross stitch or knitting. Mini Wonder Clips from Clover are colorful little tools you will soon realize you need everywhere for everything. Like little plastic bobbins, safety pins, or embroidery scissors, they are handy and versatile tools. Whether you are a stitcher, sewer, knitter, crocheter, or fly tier, you will appreciate their usefulness. Clover created the large size Wonder Clips a a quick-and-easy way to apply binding on quilts, holding without shifting the areas you couldn't slide a pin through, or holding fabrics you didn't want to pin. They are also good for clipping stacks of fabric, or pinching your snack bag closed so you can get back to your project. Stitchers found them and began using the Wonder Clips to hold canvas edges, or to hold part of a large canvas that is rolled up while not in use. Knitters and crocheters also saw the value of "clipping" rather than losing pins int their work, and started using the Wonder Clips too. The new Mini Wonder Clips are a smaller version, ideal for smaller projects. Carol from Clover told us how she bought little magnets from a craft store, and put one on each clip to hold metal objects often used in sewing/stitching. Clip one to your lapel and let your needle rest there for a moment, for instance (better than sticking it the arm of your couch or chair). Take a look at the video of Carol showing her creative uses of the Mini Wonder Clips. Roughly marking the halfway point of 2016, the summer solstice has ushered in sunny days and holidays. 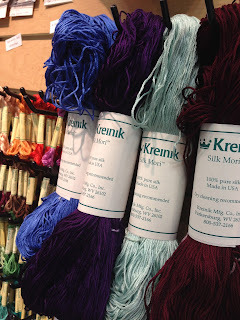 We want to make sure you are in-the-know about all things Kreinik, so here's a quick update. FACTORY HOURS: We will be closed July 4 through 8 for summer holiday. No threads will be made or shipped from our facility during that time as our staff enjoys vacation time with family and friends. We will reopen Monday, July 11. FACTORY OUTLET: When we return from holiday, our factory outlet store will be open during regular business hours (call for hours, 1-800-537-2166). So if you are traveling through the area, be sure to stop by 1708 Gihon Road, Parkersburg WV 26102. See our needle arts gallery, and pick up odds and ends at great prices (merchandise varies) for your favorite needlework or fiber hobby. We'd love to meet you. PRODUCTION SCHEDULE: For the last six months, we have reorganized our production department and implemented new manufacturing procedures. We are happy to say threads are being made and shipped more quickly. 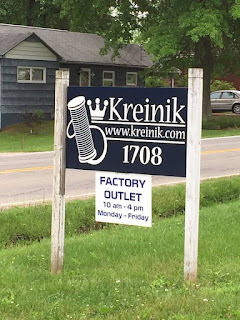 We hope you've noticed this change—it is important to us that you get the Kreinik threads you need when you need them. Thank you for your business and support. Hope you are enjoying 2016 with family, friends, and stitchery. Now is a great time to plan and organize your handmade Christmas projects…teach a friend/relative to stitch at barbecues or get-togethers…or visit needlework shops as you travel on vacation. Happy summer! It's time for new products, networking, and planning for the remainder of 2016—that is, for our summer trade show season. This week, Doug, Dena, Jim and Shay from Kreinik will be heading to The National Needle Arts Association (TNNA) trade show in Washington DC. This event is for needlework businesses, publishers, designers, teachers, manufacturers, and retailers. Closed to the public, businesses can find out more about the event at www.tnna.org. We expect to see more knitters, crocheters, weavers and spinners at this summer show (the January TNNA trade show tends to be more needlepoint and counted thread). For them, we are bringing lots of fiber. There will be specials, drawings, and gorgeous colors galore. We are looking to hire weavers to make models for us, and hope to connect with many designers at the show. Kreinik has booth number 333, so if you will be attending, please stop by. We'd love to meet you. 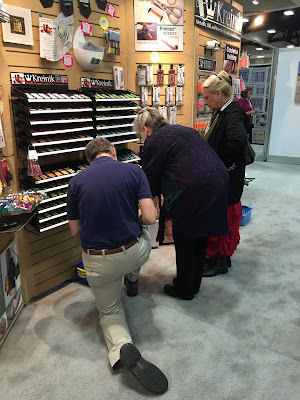 We will post info on any new Kreinik products after the event on the Kreinik Facebook page, Twitter account and this blog, so stay tuned! After TNNA, we head to Milwaukee for the 2016 Convergence festival, https://www.weavespindye.org/convergence. Hope to meet many more weavers and spinners at this event, which occurs every other year. This will be our first time as a vendor! If you've ever attended a Convergence, we'd love to hear from you about your experiences. Email us at info@kreinik.com. Have you ever wanted to try stitching with silk thread? 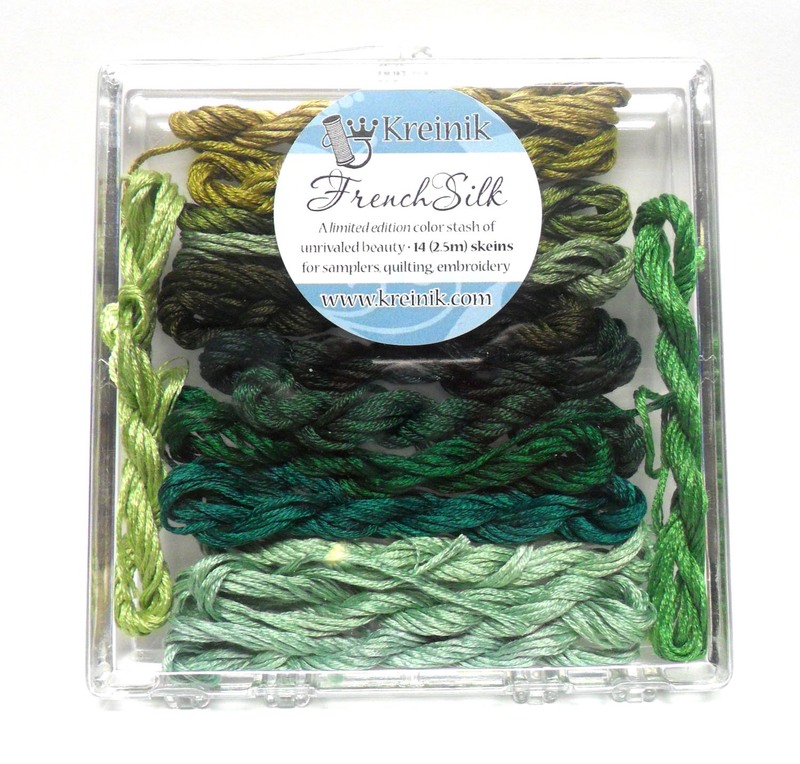 Here's your chance: Kreinik French Silk Sets, small starter assortments, at a great price, in beautiful color groups, all ready to use in cross stitch, needlepoint and embroidery. Many think silk is delicate, expensive, and uncommon. The truth is the exact opposite. Silk is stronger than cotton or wool, it costs the same as popular overdyed cotton threads, and it has been used in needlework for centuries. 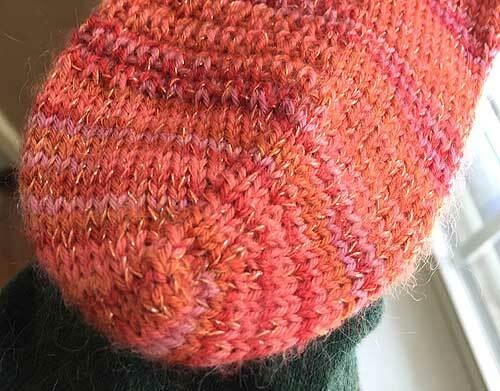 It has long been a stitcher's main thread when vibrant color and lovely luster can make a design more beautiful. Plus, it feels so good to your fingers; experience the softness just once and you'll be hooked on this fiber. 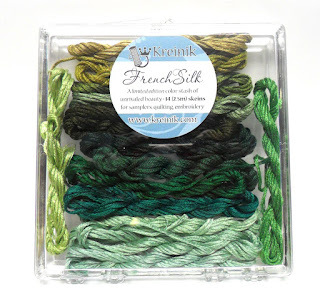 Kreinik's new French Silk Sets come in color groups: blue, green, red, yellow, pink, and black. They are perfect for hand embroidery, cross stitch, petit point, punchneedle and more. The limited edition sets feature 2.5-meter skeins of a 7-strand silk, perfect for small projects. Separate the strands if needed: use two on 14-count cross stitch fabric, or four on 18-count needlepoint canvas. Pin looms have been around for decades. In fact, Doug Kreinik and his brothers used to weave little squares when they were kids (seems that fiber "art" runs deep in the Kreinik family). They have been making a comeback lately though, thanks to new and improved versions (the Zoom Loom from Schacht Spindle Company, for instance). Pin loom weaving is so popular, publishing powerhouse Interweave Press dedicates a special magazine issue to the technique each year. The 2016 issue is on newsstands now. This magazine is a great way to start or at least get inspiration. 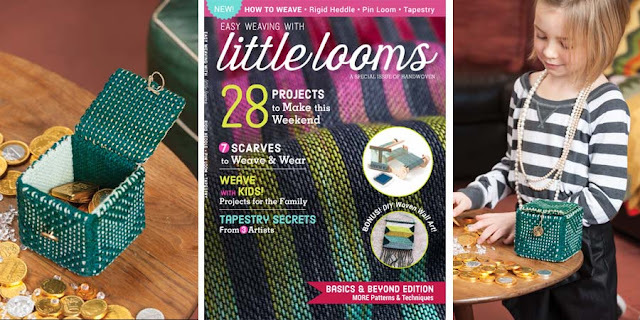 From Interweave Press and Handwoven magazine, look for the special issue "Easy Weaving With Little Looms" on newsstands now. This fun project by Deb Essen featuring Kreinik metallic thread is in the issue, and would make a great gift. 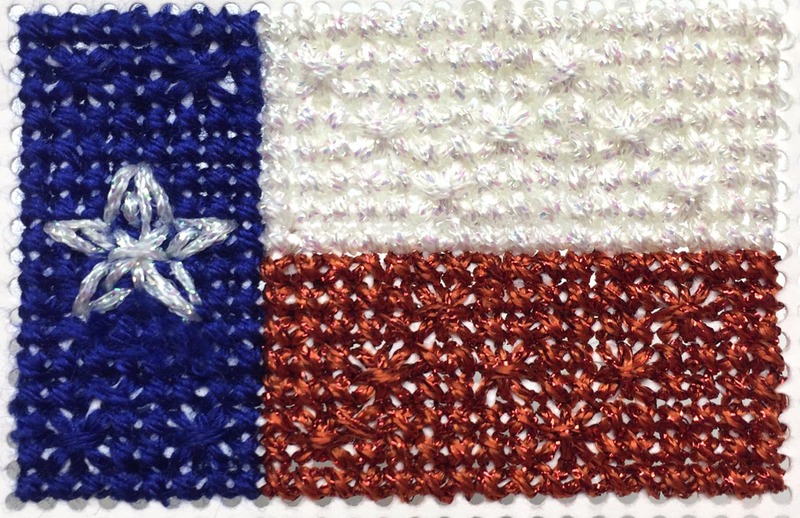 By request, a new Kreinik Stitch-A-Pen kit is now available: the Texas state flag. This cross stitch kit features Kreinik soft and pretty metallic and silk threads, worked on perforated paper and inserted into a useful pen. Quick and easy to stitch, these make great gifts. Kit includes everything you need to stitch one design. 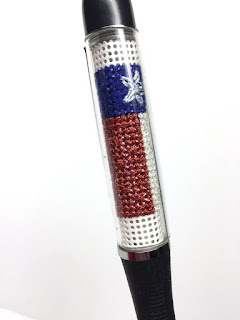 Get your Texas Flag Pen from your favorite needlework store or here. You may be wondering... "Why Texas?" We have many shops in that grand state, with many stitchers living in or hailing from Texas. 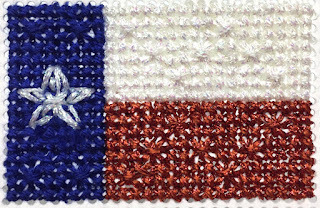 Once we created the country flag Stitch-A-Pen line, which you can see here, requests came in for the red-white-and-blue Texas flag. Since the pattern is relatively simple, we easily created a cross stitch version. Finishing it as a pen makes it useful—a fun way to have a little bit of cross stitch in your every day. "Will there be pen designs for other states?" We are always open to requests. However, some state flags are rather elaborate, or involve seals, figures, and other motifs that may not translate well to a 2-inch by 3-inch stitching area. 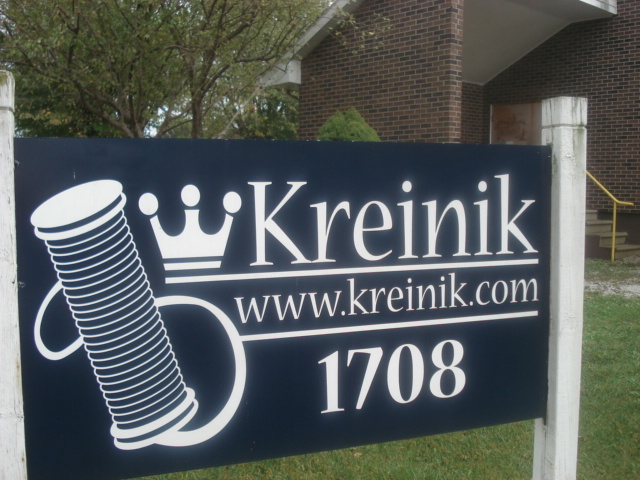 You can reach us via email at info at kreinik dot com if you have requests or questions about any Kreinik product. 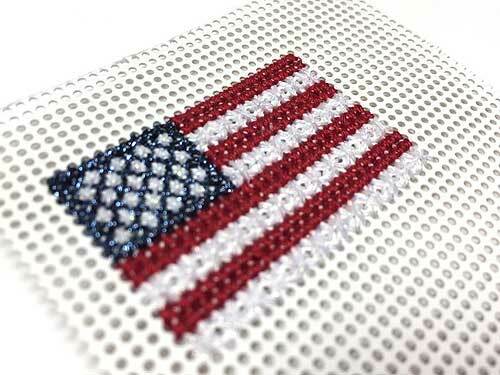 Next in the popular Kreinik Stitch-A-Pen kit series: Country Flags. Using Kreinik silk and metallic threads, the stitches are easy and the project takes a mere two hours to completely finish. Kit includes everything, even the pen. Stitch a flag pen for military members or veterans, foreign language teacher, sport fans, scout troops, school clubs, travelers, or for anyone who loves the culture of one of these countries. The pens use Parker® pen refills, so your project can be used for a long time to come.